At Event Decor Direct you will find a variety of fancy table skirts to make your wedding reception decorative. 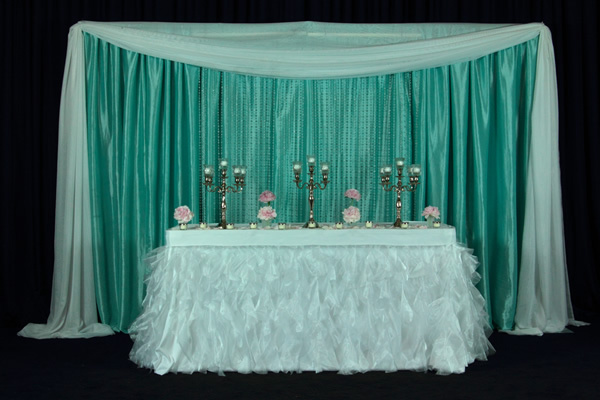 We have frilly mesh table skirts, runched mesh table skirts, ruffled table skirts, and a tutu table skirts in varying lengths. 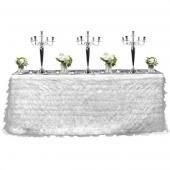 These fancy table skirts are designed to make your wedding reception or event special. 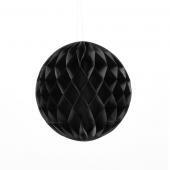 The Frilly Mesh Table Skirt is easy to use and come in 13, 17, and 21 feet. They attach to the table with ease because of the Velcro. 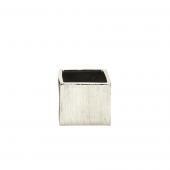 It is made of mesh with a rhinestone border. 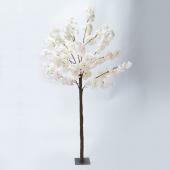 It comes in white and ivory colors that match any decor. 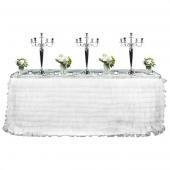 These are popular fancy table skirts that many consumers use for wedding receptions. 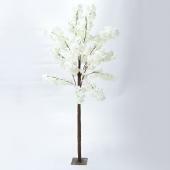 They are easy to put on tables for banquets or church halls. 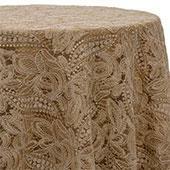 The Ruched Mesh Table Skirts are another item in the fancy table skirts category. They have six rows of taffeta sewn in to create one of the most fancy table skirts in this category. The come in 13, 17, and 21 feet long. 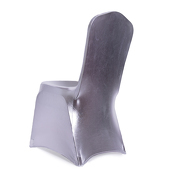 The velcro make them easy to attach to tables for restaurants, halls, and outdoors. These fancy table skirts make a wedding reception elegant. 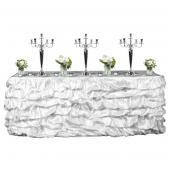 There are ruffled mesh table skirts another one of the fancy table skirts made to make your wedding reception special. Each ruffle is 30 inches in height and has a taffeta base. It is popular and comes in 13, 17, and 21 feet. 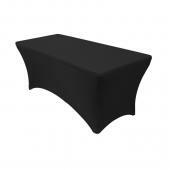 A popular choice with customers for fancy table skirts meant to impress guests. 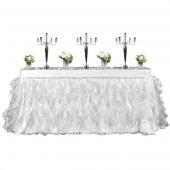 The fancy table skirts tutu mesh table skirts come in small and large. They are 13 and 17 feet long. 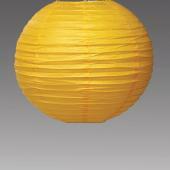 It has a satin border with pieces made of organza. It has Velcro making it easy to attach to tables. Event Direct ships from the United States and Canada. Order today. Customers who are interested in Fancy Table Skirts also purchase Cinderella Table Skirting Kits, Fairy Light Head Tables, and Lace Overlays.